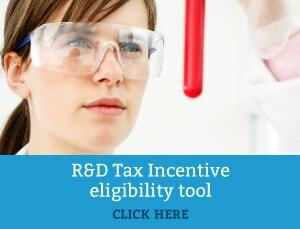 In the matter of Mobil Oil Australia Ltd v Industry R&D Board, the Administrative Appeals Tribunal (AAT) assessed whether activities undertaken by Mobil Oil met the eligibility requirements of R&D under s. 73B (1) of the Income Tax Assessment (ITA) Act 1986. Mobil Oil Australia Ltd sought a review of part of a decision by the IR&D Board that the activities known as the Arab Light/Gippsland Crude project undertaken by Mobil Oil (“the refinery trial”) did not meet the definition of R&D in the ITA Act as the activities did not show evidence of innovation or technical risk and were not carried out in a way that was systematic, investigative or experimental. On 9 November 1993 the applicant had applied for registration for the 150 per cent tax concession for claimed eligible R&D expenditure of $23,838,887 in respect of the project. The industry R&D Board decided that the laboratory activities and computer modelling carried on prior to the refinery trial met the definition of R&D, but the refinery trial itself did not. The AAT found that the refinery trial was not an eligible R&D activity, reaffirming the IR&D Board’s decision. The refinery trial was not R&D activities in that, although the first three days activities were systematic and experimental (the last three days activities were not) and were carried on in Australia, they did not involve innovation or technical risk; they were carried on for the purposes of production and any new knowledge acquired was of the type that would be acquired during any test run demonstrating the effects of a variation in crude feedstock. They were not carried on for the purpose of creating new or improved materials, products, devices, processes or services and were not supporting activities. Click here to view the Mobil Oil Australia Ltd and Industry Research and Devleopment Board (1995) case.